Joy Kills Sorrow’s Jacob Jolliff (center) and The Deadly Gentleman’s Stash Wyslouch and Greg Liszt. Greg Liszt, banjoist for the Boston-based bluegrass band The Deadly Gentlemen, also happens to be the man who filmed a video of Brooklyn’s Lake Street Dive covering The Jackson 5’s “I Want You Back.” That video, which was recorded on the sidewalk outside of Liszt’s house in the Boston neighborhood of Brighton, hit YouTube in May of last year, was tweeted by a few celebrities and went viral. On Tuesday, Liszt posted a damn fine little ditty he wrote that was inspired by Lake Street Dive. The song, “All My Friends Blew Up On the Internet,” features his bandmate Stash Wyslouch on guitar and Joy Kills Sorrow‘s Jacob Jolliff on mandolin and vocals. The three live together with a slew of other musicians in that same house where Liszt shot the Lake Street Dive video. 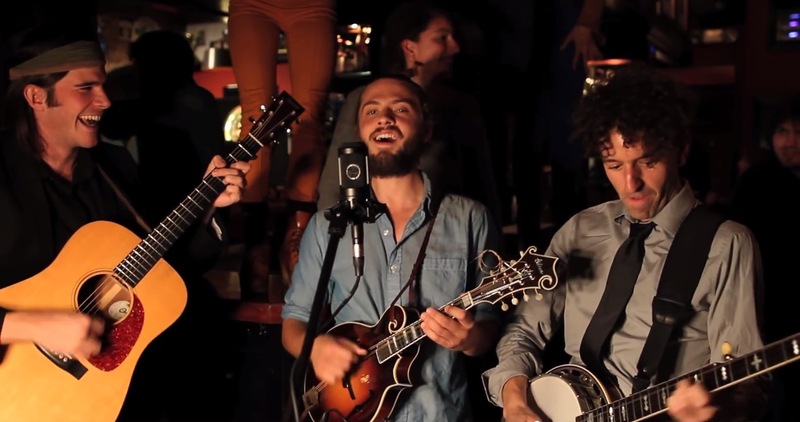 While Jolliff has his fair share of creds – Berklee’s first full-scholarship mandolin student and the 2012 National Mandolin Champion – he had not sung in years and even then he sang bluegrass, not poppy songs like this one. But Liszt told him that the song was perfect for his voice and got him excited about it. Recorded in just a few takes after a ton of drinks with heaps of the bands’ friends at an Irish pub down the street from the house, it’s golden and pretty hilarious. 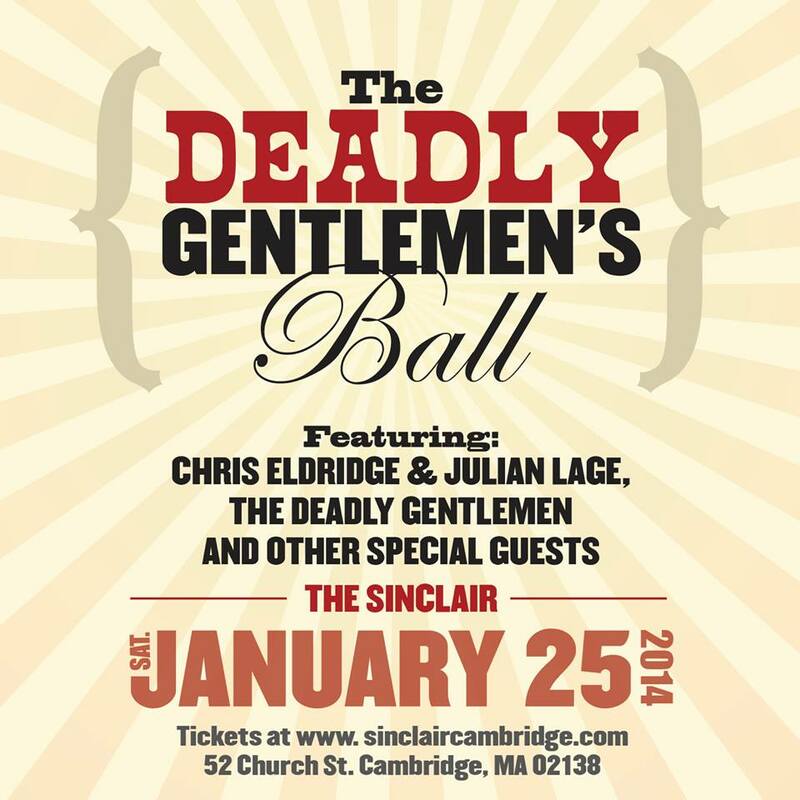 Check out the video below (along with Lake Street Dive’s rendition of “I Want You Back”) or catch the song live at the 1st Annual Deadly Gentlemen’s Ball on January 25, 2014 at the Sinclair in Harvard Square. The Ball features performances by The Deadly Gentlemen, Joy Kills Sorrow, Della Mae, and Julian Lage and Chris Eldridge (of Punch Brothers) and should be a pretty incredible evening. You can also catch Jolliff on another side project in a Pacific Northwest tour with Darol Anger and others over the next couple weeks.